Our SecureCore division recently launched a brand-new website and we wanted to share it with our customers! RestoreCore’s offerings aren’t just for after a disaster, we want to help you prepare for the worst and that’s where SecureCore comes in. 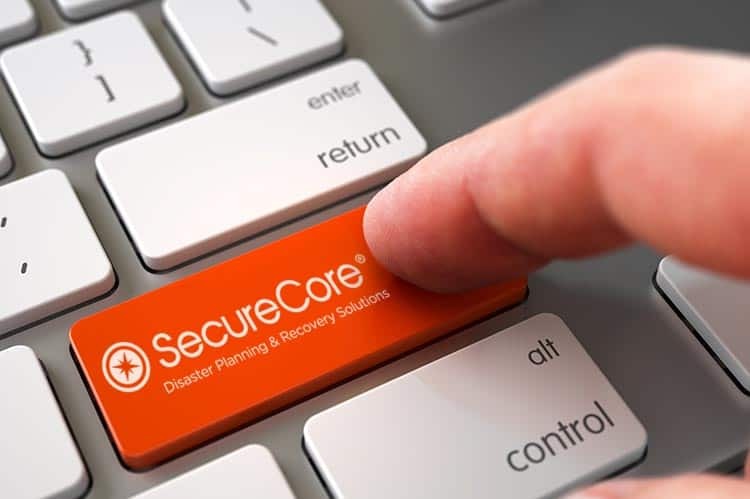 SecureCore is committed to providing clients with disaster software to plan ahead for onsite disaster management and online disaster plans. Having a fresh, functional, and mobile-friendly website allows customers to access a wealth of information about SecureCore’s services in times of need and when preparing for the worst. SecureCore is constantly evolving and improving, and their new website is the latest example of that. RestoreCore and SecureCore are committed to being there when you need us. As a result of our unwavering commitment to our customers, we took your feedback and insight on what’s important and valuable to you and we’ve built that right into the new and improved SecureCore website. This new site emphasizes both the customer and reseller avenues of products and services offerings to provide a comprehensive view of what SecureCore offers and how this division can help you prepare. In addition to a brand-new website, SecureCore is experiencing an exciting time of growth. The division is adding to the team to help support new business. A strong team means that SecureCore can handle every situation that might arise with customers and expanding ensures that they’re ready for anything. The SecureCore business is built around making sure you’re prepared so their own preparation is crucial! SecureCore’s new website is just the first in a series of upcoming improvements. There are several exciting updates to follow over the coming months which will include a SecureCore Training Library that can provide useful information for the customer base. Stay tuned to SecureCore’s website for more information on what additional improvements are on the horizon as well as any additions to products and services. RestoreCore is excited for our preparation division’s expansion and upcoming improvements. Providing comprehensive services to meet your needs is our goal and we intend to achieve it!